Ever wanted to meet Father Christmas in real life? How about getting picked up by Santa’s elves at the airport, accompanied over to Lapland, making cookies with Mrs Father Christmas and then having your own private meeting with Santa? Thanks to True Luxury Travel, you now can. 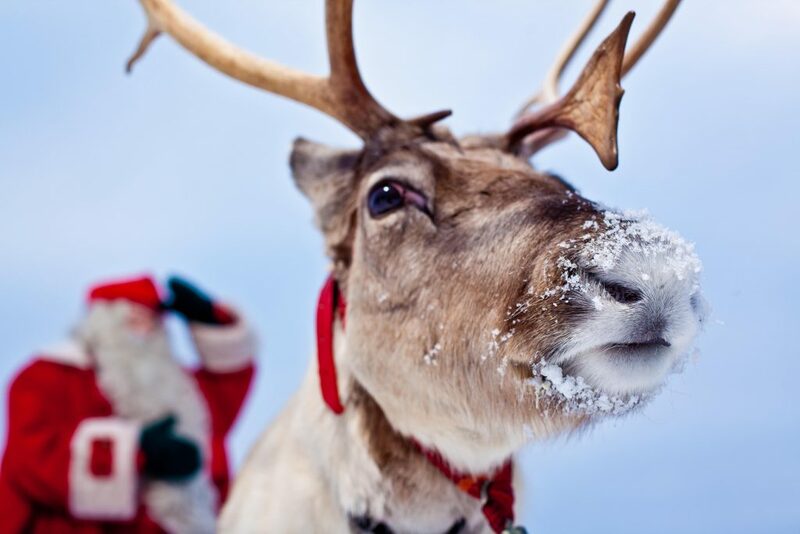 Luxury travel experts True Luxury Travel is offering families the chance to meet Santa as part of its ultimate Father Christmas experience in Finland, which includes the opportunity to be met by Santa’s elves in London and fly with them to Lapland. Of course, everyone knows that Santa Claus comes from Finland but St Nicholas, the medieval Christian saint believed to be the inspiration for Father Christmas, was a 4thcentury bishop of the small Roman town of Myra in what is now Turkey. The site of his burial remains contested to this day. Some believe he was laid to rest in Italy, while others claim it was Ireland, but if you ask the Finns, they will state categorically that Santa comes from Korvatunturi, in Lapland. With temperatures dipping to as low as -45C, Lapland is the winter wonderland of Santa’s home and it was an illustration in Harpers magazine in 1866 that is widely credited with establishing Santa’s home as somewhere covered in snow. Korvatunturi fell is almost always snow covered and is home to roughly 34,500 roaming reindeer – and Santa’s secret workshop. The belief that the workshop is here is hundreds of years old, dating from before Christianity came to Finland in the middle ages. Instead of traditional Christian rituals, Finns celebrated Yule, a pagan midwinter festival that involved Nuuttipukki (men dressed in fur jackets, birch bark masks and horns), who would go from door to door demanding gifts and scavenging for leftover food. This happened on 13 January or St Knut’s Day, the day many Nordic countries mark as the end of the festive season. This stems from the Danish Duke, Canute Lavard, who was assassinated by his cousin on 7 January 1131. Following his death, there was a civil war, which led to Knut being declared a saint and in 1680, 13 January became Knut’s Day. The slightly morbid origins of the day allude to why the Nuuttipukkiwere evil spirits – if they were denied the gifts they demanded, they made loud noises to scare the children instead. When the story of St Nicholas first came to Finland in the 1800s, this story merged with the legend of the Nuuttipukki, creating Joulupukki. Rather than demanding gifts from residents, the Joulupukki would hand them out, clad in red robes and knocking on doors asking, “Onko täällä kilttejä lapsia?” or “Are there any well-behaved children here?” Once he’d handed out all his gifts, Joulupukki would return to Korvantunturi. 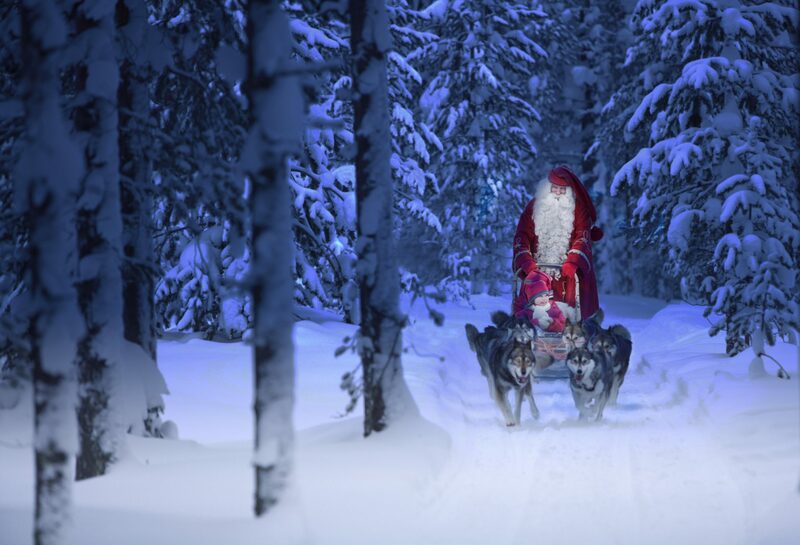 It’s clear to see why Finland would claim Santa lives and works on their home soil – who wouldn’t want that? But it’s more than that; tourism is a major consideration and the number of overnight stays in Lapland grew by nearly 18 per cent in 2016, with most of the tourists looking to meet the Finnish Santa in Rovaniemi, otherwise known as “Santa Claus Village”. Here, visitors can take a tour of Santa’s office, have a letter delivered to Santa at the post office and watch the elves work in the gift shop. Postal employees dressed as elves receive about half a million pieces of mail a year addressed to Santa and there’s even the chance to get a reply from the man himself (for a price). The number of overnight stays in Lapland in December 2016 was 465,000, compared with just 63,000 in May of the same year. Meeting Father Christmas really is the big draw to the country for a lot of travellers. In fact, in November 2017, Finland’s Ministry of Education and Culture even approved Joulupukki to be included in the National Inventory of Living Heritage, as part of the UNESCO Convention for the Safeguarding of the Intangible Cultural Heritage. 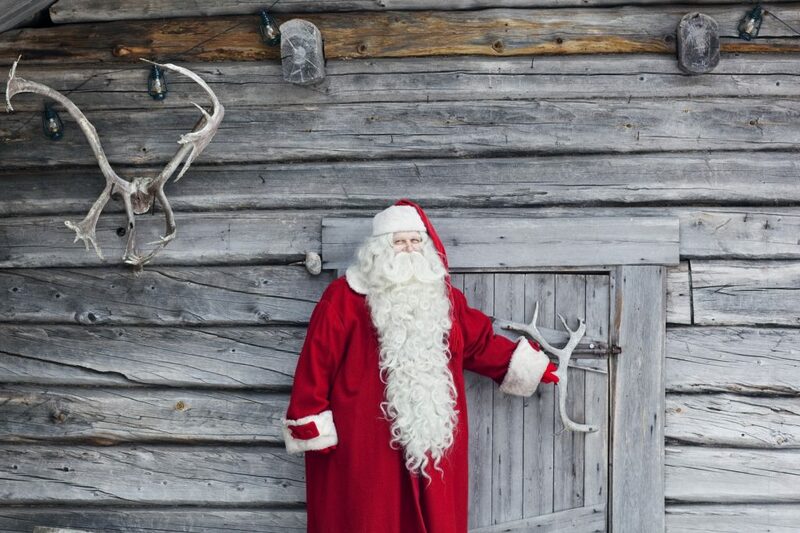 Wherever you go in Finland, the origin of Father Christmas is embedded in the local culture. That’s why True Luxury Travel has pulled out all the stops to make sure families get the very best that Lapland has to offer – for the children, as well as the adults. Guests have the chance to try their hand at husky sledding, ice fishing, snowshoeing, tobogganing, and reindeer sleighing. And for the adults? Well, the tour also offers the chance to float in the ice sea, as well as ice driving – in rally cars, or in supercars. The ultimate Father Christmas experience is all about the build up to that magical moment of meeting old St Nick. The tour typically stretches over four days, with the big meet and greet saved for the penultimate day. On this day, elves collect visitors from their accommodation, take them to make gingerbread with Mrs Claus, visit the local elves’ school and then finally meet Santa. To make the Father Christmas experience even more magical, the meeting with Santa is always in private, making it a totally unique and personal experience for all involved. Better yet, there is the option to fill Father Christmas in on everything about the children beforehand, such as their best friends, what they want for Christmas, where they go to school or what they got for Christmas last year. The Lapland tour was launched by the luxury travel experts this year and is already one of their most popular tours, with very limited availability left for Christmas this year. Get booking now if you don’t want to miss it this year, or plan ahead and get your magical trip booked in for next year. Prices start from £40,000 for a family of four including four nights’ accommodation, international flights and all activities, which include the private meeting with Father Christmas, reindeer sleigh rides, husky sledding, winter survival skills and more. Executive Destinations is a new magazine covering high-end and high-interest places around the world. The magazine will have a mix of in-depth coverage of locations and activities, with important information and shared experience for the business traveller, all beautifully presented in a glossy format.